If you consider MYOB to be your Main Data storage area, and that all sales are kept in the MYOB Sales area, then currently if you wish to add / edit or even delete, you need to be a licensed user and you need to have the ability to utilize these features. 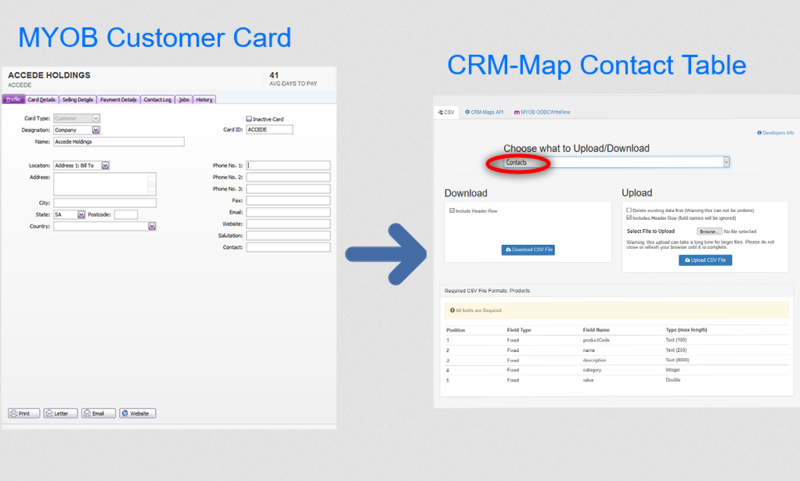 In CRM-Map you can import your Customer Cards into our Contacts Table. For this step and the next couple of steps, you will be able to do this automatically, on a timed basic or by request. 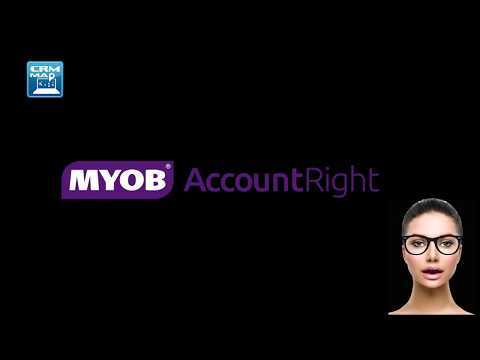 Then import your MYOB Products into the Products table. 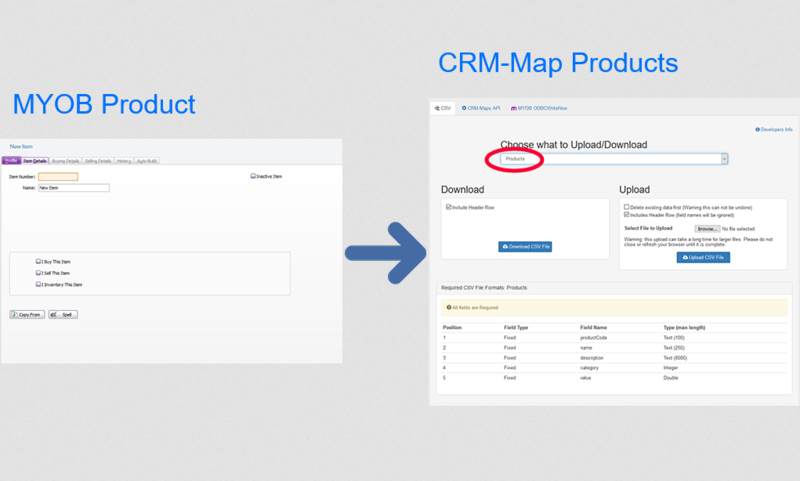 And if using a custom table to show all products by a time, put this custom table link into the CRM-Map Category area and make sure you have loaded your Icons so it is easier for Sales people. You can then import your Sales into the Transactions Table. This will let you see all your Transactions per Customer – and at their Location. If you put the MYOB Invoice type into the Status, you will see what are Invoices, what are Quotes and what are Orders by color. You will need to use a Customized Field, if you wish to be able to Add new Sales or edit Sales. This is because you will need to enter the GL code for each sale. – Look into our Customized Field video for more instructions. Implementing CRM-Map, based on the options you have allocated to your users, your users can now See, Add, Edit and Delete Transactions per Customer. This can automatically transfer back to your MYOB. This saves you in Time, License Fees and User Errors. Plus, your sales team, can enter quotes on the road, and new customers – if giving products. With Client confirmation of receipt. At the moment, you cannot store multiple files and images against your Contact, Transaction or Product. With CRM-Map you will have the ability to save before and after images of jobs carried out as evidence of service. The possible applications are endless. Now these images can be transferred to your local server or another device nominated by your administrator.